Three federal employee unions filed a lawsuit Wednesday evening seeking to bar the Veterans Affairs Department from implementing a policy to ban the use of official time by employees in medical professions at the department. The American Federation of Government Employees, the National Federation of Federal Employees and the National Association of Government Employees filed the complaint in U.S. District Court for the District of Columbia, demanding that VA's repudiation of union contracts be "set aside." The policy, which was announced last week and sought to bar all Title 38 VA employees from using official time, was slated to go into effect Thursday. The department invalidated significant portions of collective bargaining agreements with AFGE, NFFE, NAGE and National Nurses United, claiming that the practice of official time, which compensates union employees for their time spent on representational duties, is not subject to bargaining because it is related to "direct patient care." The announcement came just months after VA Secretary Robert Wilkie rescinded a memorandum of understanding with NFFE that outlined which practices were non-negotiable because of the "direct patient care" standard, and which were only indirectly related to care. 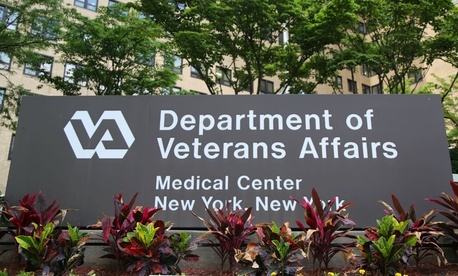 In the lawsuit, the unions accuse the VA of violating the Administrative Procedures Act because they assert that official time cannot be considered nonnegotiable under the "direct patient care" provision of Title 38. NFFE National President Randy Erwin stated that official time is not only beneficial for workers, but is also critical to improving outcomes at VA hospitals. "The crux of the issue is that under official time, VA employees serve as an independent voice regarding working conditions, safety issues and mismanagement," he said. "Plus, they represent whistleblowers and other employees who make credible claims against fraud, waste, abuse and political coercion and corruption . . . The VA kicking employees off official time in this way is a clear violation of the law. It is in direct response to the unions' successful lawsuit last June against the Trump administration that nullified three illegal executive orders that attacked civil servants working under official time." Officials at VA did not immediately respond to a request for comment.